Pricey, but spotless and well appointed. Very close to town but not too noisy... tight sites with relatively useless (due to placement) firepits. But overall this is a scrupulously maintained site in a good location for exploring this part of Ohio. (Think 1 hour radius of here.). They will deliver food to your trailer--it ain't great, but it's a really nice service. Probably the nicest laundry room you'll ever see at an RV park! 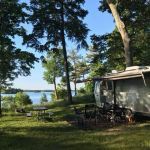 We camped at Wapakoneta KOA in a Travel Trailer. Not much to do here, but lots of factory tours and museums within a 45 minute drive or so (in all directions, so this is actually quite central). Where do I begin? Now, mind you that this place is PRICEY. The reservation is LOADED with extra fees: a $47/night campsite was almost $80 once all those fees were piled on. Outrageous. -- Called on our way there but their phones were out. It was scheduled maintenance, but they had done nothing to ensure that callers knew or had a way to connect. -- Told we couldn't check in early (and yes, they told us we should have called first! ha!) and we should go park at Target and wait (despite the park being almost entirely empty). -- Campsite was a mudpit. -- Sewer connection was uphill. -- Electrical connection kept shutting down (breaker blowing at the pedestal) despite a low draw from us. -- Wifi was so slow you couldn't even check email. -- Campground staffers and delivery people violated quiet hours. We had large trucks and noisy golf carts rolling past our site at 7am. -- They said they would pick up trash at our site (I like this service!). They did not. -- After telling us emphatically that they would charge us a replacement fee if we lost our keycard, out keycard failed to open the gate when we left or entered the park. Pressing the "help" intercom next to the gate raised exactly zero response. Nothing caps your day than being stuck outside a park you paid too much for, wandering around trying to find someone so you don't have to park your truck out on the road and walk to your campsite. I'm told this is a great and "secure" park if you have small kids. I did not see anything that contradicted that. I just wish all the other details had been as well attended. Very tight sites where your "view" is your neighbors sewer pipe. Lovely. Avoid. We camped at Yogi Bear's Jellystone Park in a Travel Trailer. Don't stay here unless you have small kids who will spend the day in the pool and splash park (which are both very nice). Despite it's decidedly worn appearance, we loved Batman's. It is well maintained, clean, quiet... and just plain old-fashioned fun. The camp store is solidly stocked (including steaks! ), the docks and boats are accessible and easy, and the whole feel of the place is just great. Yes, the internet is only accessible at one location (great! ), yes the facilities are worn (nostalgic!) and yes, the roads are relatively tight for bigger rigs. It's a campground built in a by-gone era, and it feels nice to be there. We had a GREAT site--perhaps the best we've ever gotten--on the Sunset beach side of the park. Plenty of room, close beach access, and a few trees around to hang a hammock. Perfect. 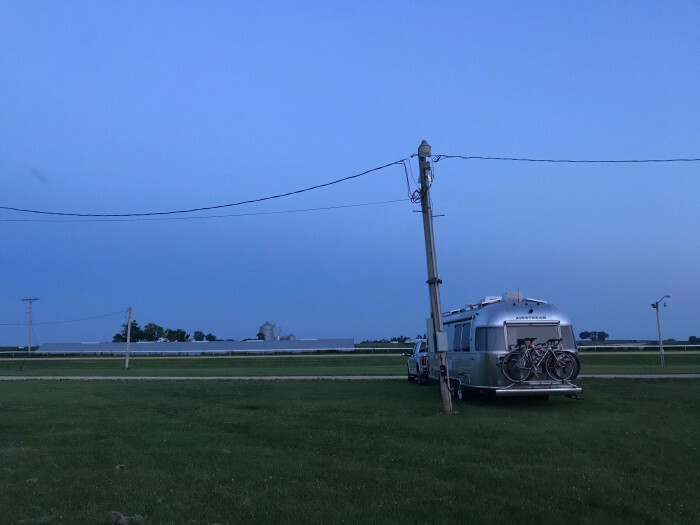 We camped at Batman's Cottages and Campground in a Travel Trailer. The Cup and Saucer Trail is a nice hike. Little Current is a surprisingly well stocked town and not too far. It was pretty empty when we were there but looked like it might be a great place when filled with kids. Petting zoo, pedal boats, and a couple other diversions available. For us though, it was the buggiest campsite we'd ever stayed in (perhaps because of the petting zoo?) and we were put in a tiny pull-through site despite most of the park being empty. The pull through site was essentially a mud pathway and recent rain made it entirely unusable for us. Hookups were buried in the bushes a bit, so we had to push our way through spiderwebs, leaves, and bugs to get hooked up. As is too often the case, the sewer connection stuck out of the ground quite a few inches, so it made for an uphill run with my hose. I hate that. Very VERY expensive laundry service. We camped at Tobermory Village Campground in a Travel Trailer. Tobermory is a tiny but pretty town. Make sure you hike the local parks, but don't bother with the grotto unless you're WAY off season. We were there in early June and it was already overrun. Just up the road from the campground there's a gas station (Hoppy's I think it was called) which has perfectly placed air hoses and propane fill stations... it's an RVers dream for a quick maintenance stop. Mineral Point is an unknown gem of a town: a community of artists in a historically significant downtown, close to Taliesin, the House on the Rock, and various "Governor Dodge" attractions. 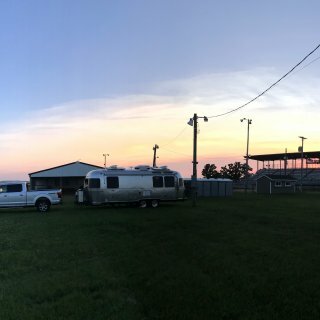 If the fairgrounds are not in use, you can camp there for $20 a night! It's a big open field with light poles--most of which have 50 amp hookups and even water taps. After those light poles are used up, there's still plenty of space to park... and the price is right. Call the number if you want to confirm availability, and then deposit your $20 in the (unlabeled) drop box that is both hard to find and in plain site near the entrance to the fairgrounds. We had 50amp service and water while we were there. Level ground, no neighbors, and a great sunset. Couldn't ask for more. 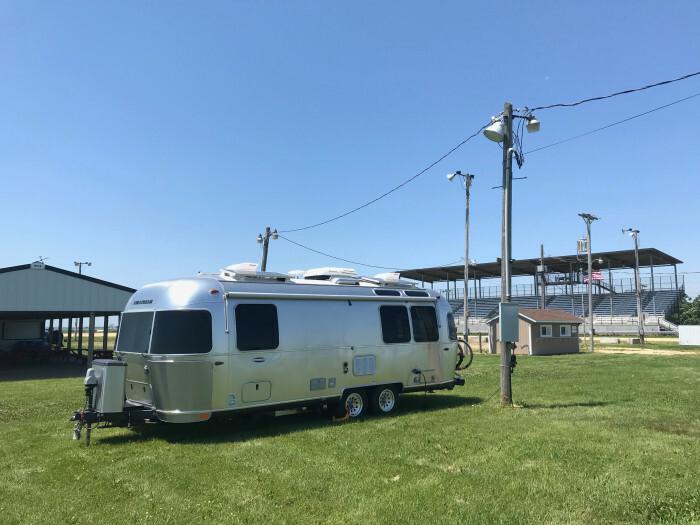 We camped at Iowa County Fairgrounds in a Travel Trailer. Make sure you browse the main drag of Mineral Point. And visit the Grey Dog Deli for a great meal. Taliesin is about 30 minutes away. Skip the House on the Rock unless you're packing extra cash. Stayed in the no hookup Eagle Loop... but was surprised to find a water tap within 100 feet so I could fill my tank. Campsite itself was not very level (and I did not bring enough blocks) but the view was fantastic. Huge picnic tables, good fire rings, plenty of space between sites, convenient bath houses, etc. A real winner. The campground is about 15 minutes from downtown Alexandria Bay. At the entrance to the park there are good stores for firewood, bait/tackle, and even a sizable convenience store. Boats for rent, clean laundry room, etc. all at camp headquarters. Quite nice, if a bit pricey for no hookups. 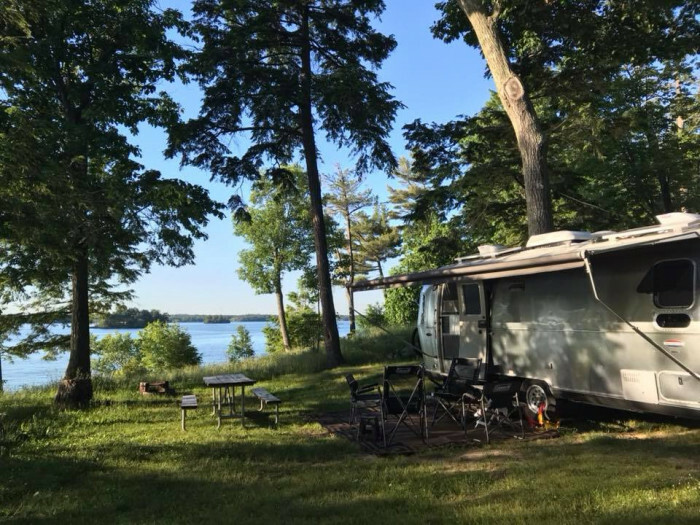 We camped at Wellesley Island State Park in a Travel Trailer. Very clean, well kept park. If you are going to spend all your time going to Disney -- or if you have small (pre-tween) children that will spend their days at the pool swimming and doing other activities -- then it may be worth it. Purely as a campground, it's very clean but not particularly great in any way. More expensive sites have more paved area. Less expensive sites have fine gravel to deal with. All have good hookups, reasonable space, and close access to amenities. If you're just using this park as a base camp for accessing all of Orlando, look elsewhere. It's really designed for Disney-goers--or folks who want to pay hundreds of dollars for dining and entertainment on site. (E.g., dinner show was $300 for four people. Horseback riding, $200 for four people. Archery, $190 for four people.) On site dining services are easy (and priced accordingly), but the food is kid stuff: pizza, burgers, etc. and nothing more. Most people tool around in golf carts, though nothing is so far that you need to do that. Need a cart? Better reserve in advance...and, guess what, they are $65/day. We camped at Disney's Fort Wilderness Resort & Campground in a Travel Trailer. Lots on site for small kids. For bigger kids and adults, expect to pay a lot to be entertained. Disney is not great at service--they have just learned that when you pay through the nose, you'll be willing to stand on line for a while or wait on hold forever. If you need to make reservations etc. try to do it in person; phone calls were aggravating. Not much here, and never saw any staff presences outside of registration. Gravel sites were level-ish and quite close together (we had a pull through). A small pool but almost nothing else to do at the site. Close to the highway so there is traffic noise, but it didn't bother us. Bathrooms were SPOTLESS and they had very nice showers and laundry facilities. We camped at Asheville West KOA in a Travel Trailer. Pricey for so few amenities, but very nicely maintained. 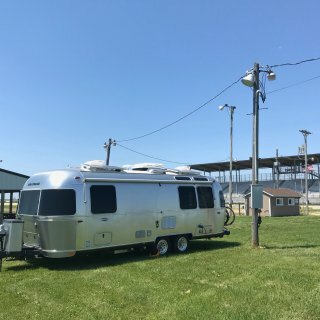 I chose the KOA because I have kids, but alas they had little on offer for the little ones (and a couple things mentioned on their site were not actually available). On the plus side, the park is spotless, the sites are really nice, level, gravel sites with fire rings, and the view was great. We camped at Luray KOA (formerly Luray RV Resort Country Waye) in a Travel Trailer. Not all the sites here have a great view. Consult the map since the better sites not only have the view but have a bit more space and privacy. Tight sites but TONS to do for the kids. Camp store well stocked. Bath and shower situation was excellent--clean and reasonably private. Huge resort style campground with lots of amenities and activities even if the sites themselves are nothing special. We camped at Lake George Escape Campground in a Travel Trailer. Go to the Rodeo/BBQ nearby. A meal and evening's entertainment. Quite fun. Avoid. Make no mistake: I like rustic, old fashioned campgrounds, but this place feels way off and the facilities are worse. The photos and description here and on their website are misleading at best! -- Our campsite was not remotely level or flat, and it was covered in leaves. I'm talking about huge dips and valleys in the site that made it hard to get four legs of chair all touching the ground, let alone a table. -- The sewer connection at our site did not have a threaded connection, so I had to weigh down my hose with rocks. -- The "massive" pool ain't that big -- and the surface of it is broken up enough that you're walking around on concrete cracks and pebbles. -- The bathrooms were ridiculous. I suppose they were clean-ish (lots of bugs, though), but how about a toilet seat that's not decades old? And how about you make it so you can't plainly see people peeing in the other bathroom while standing in the doorway of your own? I didn't feel adventurous enough to try the showers. Overall, there's crap everywhere at this camp. It feels like people have been camping there for YEARS and have left toys and possessions everywhere. It also seems like the campground is maybe buying (used? tagsale?) consumer products as "public" items? Hard to tell. Either way, it makes you feel like everywhere on the grounds has already been "claimed" by someone else who left there stuff there. The haphazard layout of campsites, with tents and trailers all mashed together doesn't help you understand what's what. Two people in two days commented to us how short term campers were ruining the place for seasonal people. This is CLEARLY a campground for seasonal people and we were clearly not welcome. -- They come around and get your trash twice. 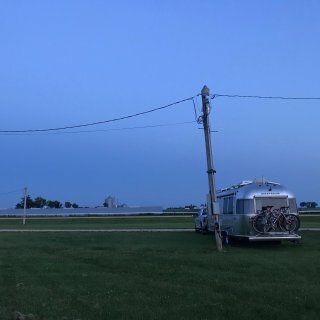 We camped at Spruce Row Campsite & RV Resort in a Travel Trailer.